Tan Loafers (similar) | Thrifted. 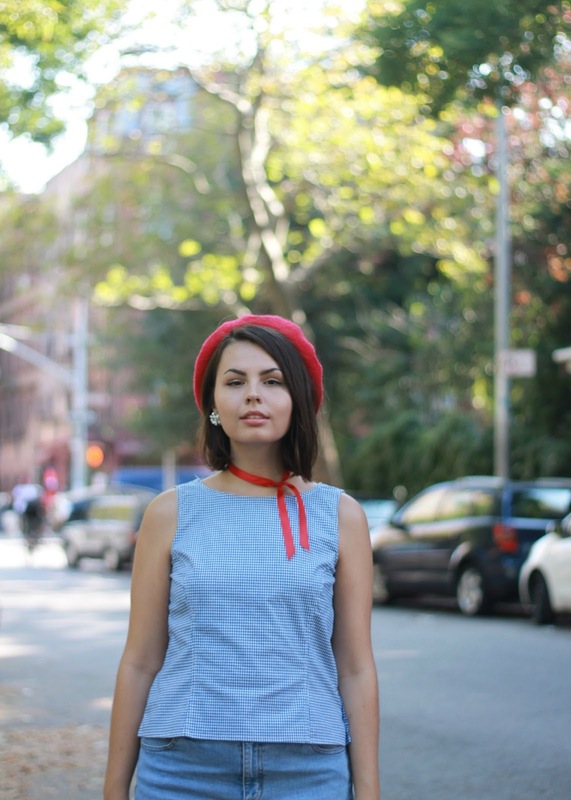 Berets have been my hat of choice since the beginning of this blog nearly 7 years ago. 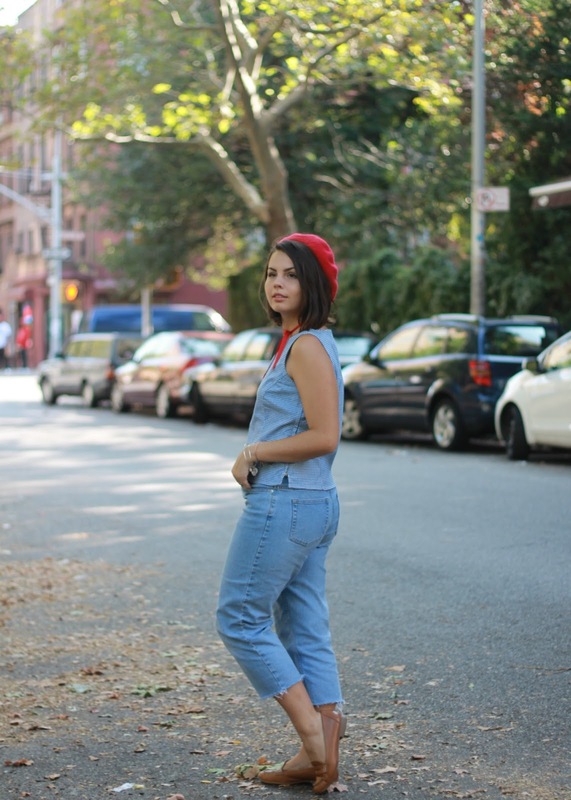 If you want to have a gut-wrenching, almost-pee-your-pants laugh, look at this post where I first wore a beret. Love those moody behind the bushes photos, Lauren. Also, spell check the primary item you're talking about. 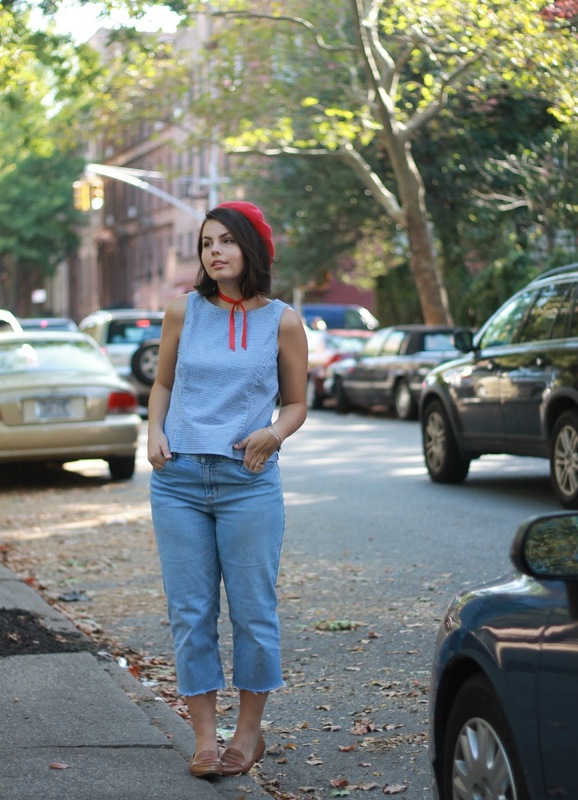 Anyways, I'm not quite sure where my penchant for them came from, but whatever it was prompted me to buy berets in 6 different colors at Target. I still have all six (and more colors!) to this day. 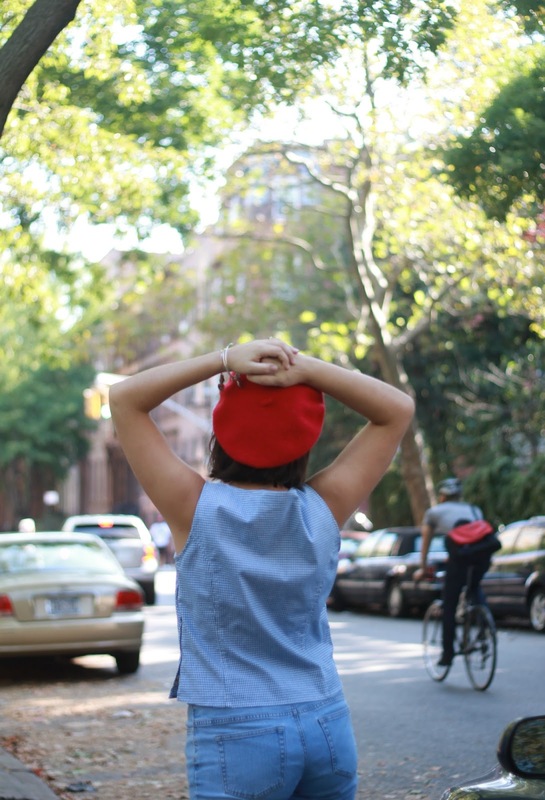 I don't wear berets as often as I have in years past, but whenever I do tip one onto the back of my head I can't help but feel a little more 'me.' Funny how a fashion item can do that. 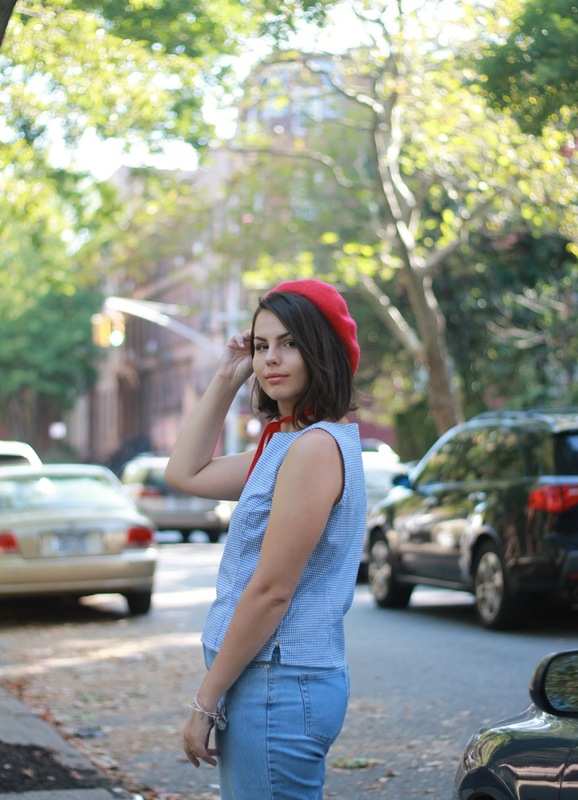 Berets defined my style for such a long time. 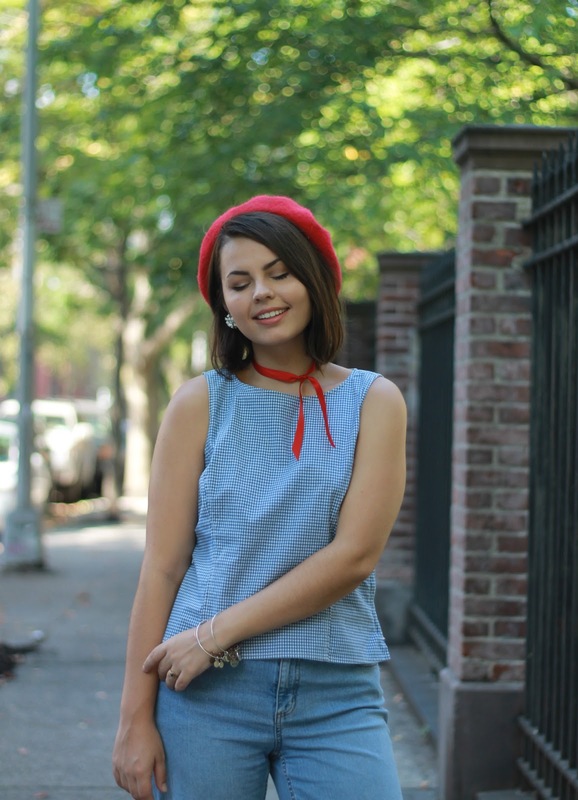 I would style my outfits specifically around berets, combining them with my thrift store finds to make vintage inspired ensembles. (see 2010, 2011 2012, 2013, 2014, and 2015) Looking back at these posts makes me so nostalgic tonight to see my style change so much. It's gone through many phases to accompany the peaks and valleys in my life. Having this blog to document everything has been the biggest gift I could have never planned for myself. 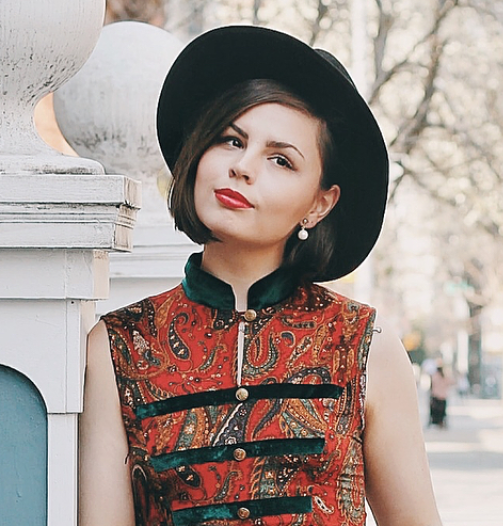 This little online space is a living diary to the evolution of my style. I'm proud of how far I've come. 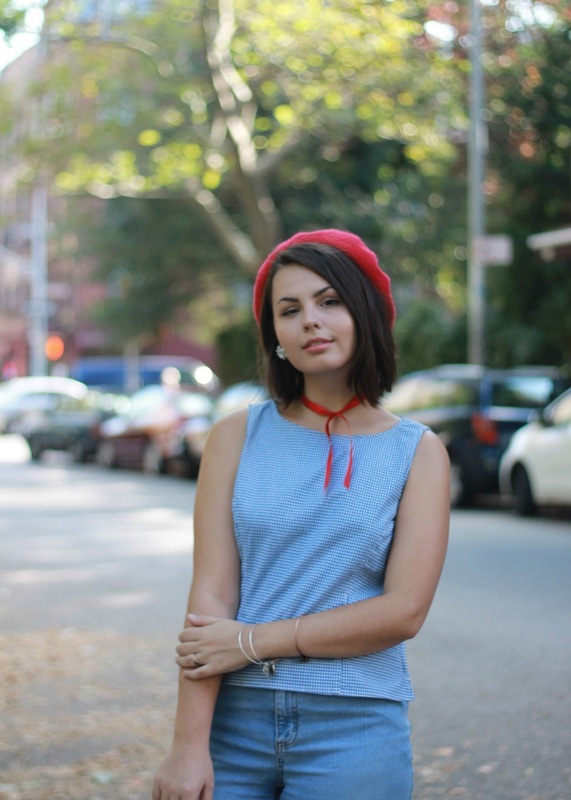 When I was 16 I didn't think I'd still be blogging when I was 23. Hell, I literally was not even ever contemplating being 23. I'm pretty sure I wanted to be married by now lol. At the time, I was just trying to get through high school and pick out my dream prom dress (which I thought I would forever love but already 7 years out I think it's atrocious). Now I am so different, but in many ways still the same. We cannot predict how we will evolve and what moments will shape us. Looking back and seeing this truth confirmed as I've documented my life on here is kind of scary. I'm sure I'll feel the same looking back on 23 from 30. Who will I be at 30? THAT IS THE SCARIEST THOUGHT EVER. Will I have a career I love? Will I have a family of my own? Will I still be in NYC? Will I still be blogging?!?! This is all way too heavy for a Wednesday night, guys. I think I need to make some Earl Grey tea and take a deep breath. Now - that necklace is a ribbon from a box of chocolate?! your creativity amazes me - wow! Love that blue colour on you!